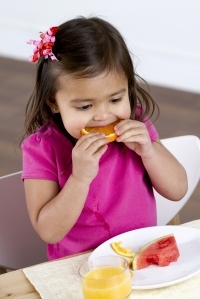 Nutrition plays an important role in your child's dental health. Learn all about what children should – and shouldn't – eat, for a healthy, happy smile. We all know that sugar is one of the main culprits when it comes to tooth decay, and many of us try to avoid it for that reason. But sugar is hiding in some unexpected packaged food – here’s how to identify it. It is perfectly fine to allow treats as part of your children's diet, as long as it’s a moderate one! With good oral hygiene, the occasional treat is just fine – even for kids with braces! We all know that things candy, pop and other sweets contain sugars that can do a lot of damage to children’s teeth. But sugar is also lurking in some unexpected foods and drinks; here are just a few. The dentist can tell a variety of things about your child’s daily life and health simply by examining his or her teeth. Here are four things you may not realize the dentist can deduce! We all know that sugar is bad news when it comes to oral health, and that it should be consumed in moderation by children and adults alike. But if you need a quick fix that will satisfy your child’s sweet tooth without giving it a cavity, here are some suggestions for you! There is no replacement for daily brushing and flossing when it comes to keeping your children’s teeth healthy and clean, but there are a few different types of food that can help keep things clean between brushings! Many people, and even children, are in a continuous state of mild dehydration day to day. This can have significant oral health consequences. How Does Pop Affect Teeth? Pop is a fun treat that most children enjoy every now and then. However, It’s important that it remain an occasional treat, as it can do a lot of damage to children’s teeth! Dairy products are probably the most commonly known source of calcium, and they’re very kid-friendly, too. But if dairy isn’t an option for your child, there are many good sources of calcium out there that are dairy-free. Most people know that calcium is an important part of keeping growing teeth strong and healthy. However, there are many other dietary elements that are important to the good oral health of children, and protein is one of them. Many parents struggle to find oral health-friendly treats and snacks to serve at their kids’ birthday parties that are also fun and appetizing. The following suggestions are sure to be a hit with adults and children alike! Are Sports Drinks Bad For Teeth? There is a common misconception that sports drinks are a healthier choice than other common drinks, such as pop or fruit juice, but in fact, they can cause serious damage to your teeth. Everything in the body is connected, and many of the same vitamins and minerals necessary for general health are necessary for oral health, too. Calcium-rich foods and beverages, such as dairy products and dark leafy greens, can have some great long term health benefits, so it's important to include them in your child’s diet. Refined carbohydrates break down into simple sugars when they linger in the mouth, making them just as bad as sugary sweets when it comes to your child’s oral health. Tongue and lip piercings are extremely popular among teenagers and young adults. Unfortunately, there are many oral health risks associated with piercings that can cause a lot of harm, both in the short and long term. 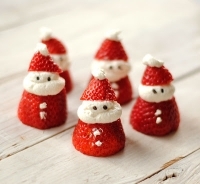 A great way to curb your children’s sugar intake during the Christmas time is to provide some healthier festive alternatives now and again. Here are some of our favorite ideas!